Ever see a film that you actually can’t really, properly describe to someone? You often hear “it’s hard to describe”, but you know those ones where you really do find yourself short of a five second cocktail party summary, left with nothing to compare it to and no way to impart the contents in quick, succinct jargon? 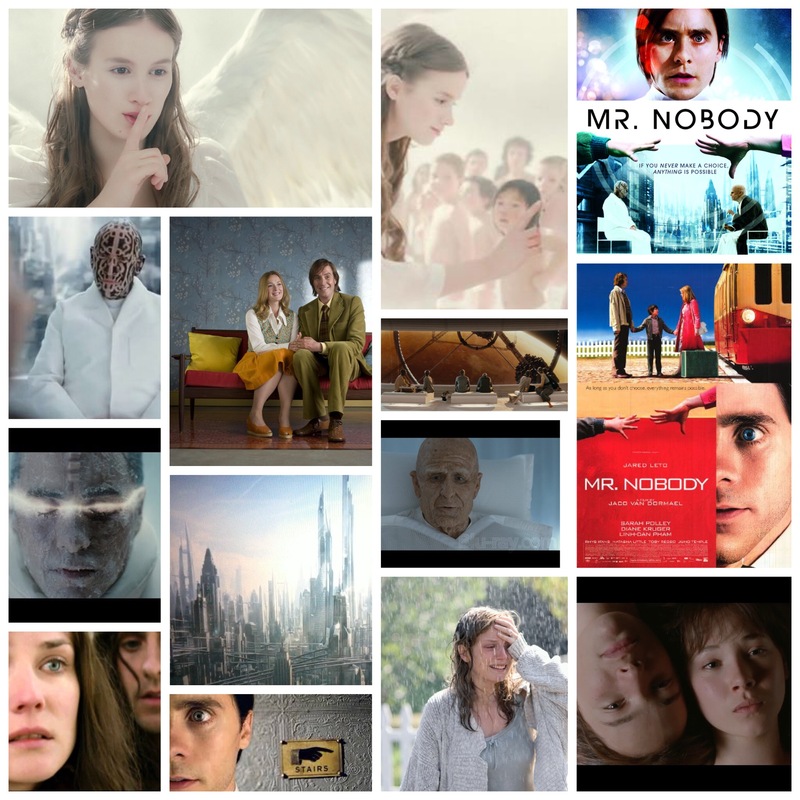 Jaco Van Dormael’s Mr. Nobody is exactly that type of film, an experience so dense, disorienting and thought provoking that one needs at least a few months after the initial viewing alone to ruminate, mull it over and meditate on what was seen before even a word of analysis is offered. On surface level it’s about a man named Nemo Nobody, played by Jared Leto in a jaw dropping, multifaceted encore of a performance. Nemo is over a hundred years old, the last mortal on an earth of now immortal humans, and he recounts his life, or many lives, rather, to a journalist. That’s the diving board that vaults into an intricate narrative full of love, grief, joy, tragedy and the peculiarities of being human. We see Nemo at hundreds of junctures of his life, penultimate crossroads where he could make either choice, but if he makes neither of them, can then see both outcomes, how they carry forward his trajectory into the future towards more crossroads, more lives, more decisions, like the infinitely branching tributaries of an ever flowing river. How would one make a film like this work onscreen, you ask? Well, not easily. The thing runs almost three hours and often gets a little caught up in itself, especially in the midsection, but it’s sheer ambition and uniquely structured storytelling carry it on wings of light, spanning through a hundred years and countless events that Nemo sees passing. He has three loves, or at least three the film focuses on: luminous Ana, played by an excellent Juno Temple and then Diane Kruger as she gets older, mentally unstable Elise (Sarah Polley) and Jean (Linh Dan Pham), all of whom help shape him or have key parts to play along the branches of his tree of life. There’s a lynchpin event from his youth upon which it all hinges though; faced with the decision to move away with his mother (Natasha Little) as her train leaves, or stay behind with his father (Rhys Ifans), the boy begins to run, but also looks back. This nano-moment is the key to eternity here, the introspective Big Bang that gives way to our story. At times the film lags, and the slack could have been pulled tighter during the development of the three relationships, but the first and third acts that bookend the whole thing move along like the forces unseen around us, using cinematic tools to compose a symphony of motion, music, scientific pondering and emotional resonance. No other film is like this one, and my attempts to describe it above still just don’t even scratch the surface of the dreams found within its runtime. There’s only a few other ones out there that have aspirations as cosmic as this one, and most, including this, have made it into my personal canon of favourites. Darren Aronofsky’s The Fountain, The Wachowski’s Cloud Atlas and Terence Malick’s Tree Of Life are such films, and Mr. Nobody now sits at their table.